Featuring new packaging and a few minor improvements, Dunlop Biomimetic Explosive 16 makes the previous version even better. By adjusting the copolymer composition, this new version offers more power with improved tension maintenance. 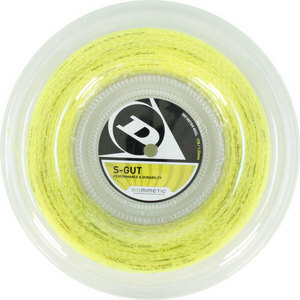 Explosive is a highly resilient polyester based string, offering a suprising amount of power while maintaining control. 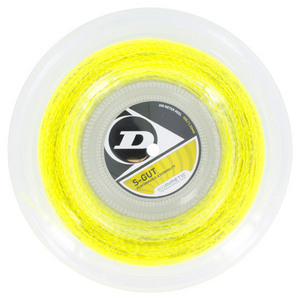 As with most polyesters, compared to softer strings, this one will result in a reduced sweetspot size, which is why Dunlop recommends stringing Explosive 10% below normal tension. 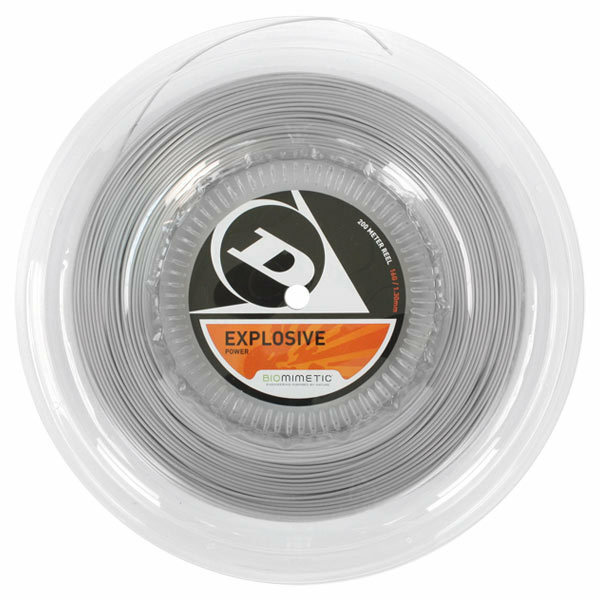 The new Explosive will be a hit with players seeking the durability of a polyester string, while maintaining a high amount of power. 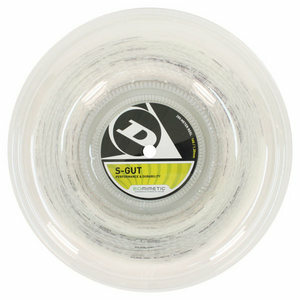 Buy 4 or more $74.96 per reel. 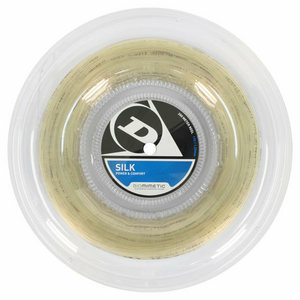 Buy 4 or more $172.46 per reel.